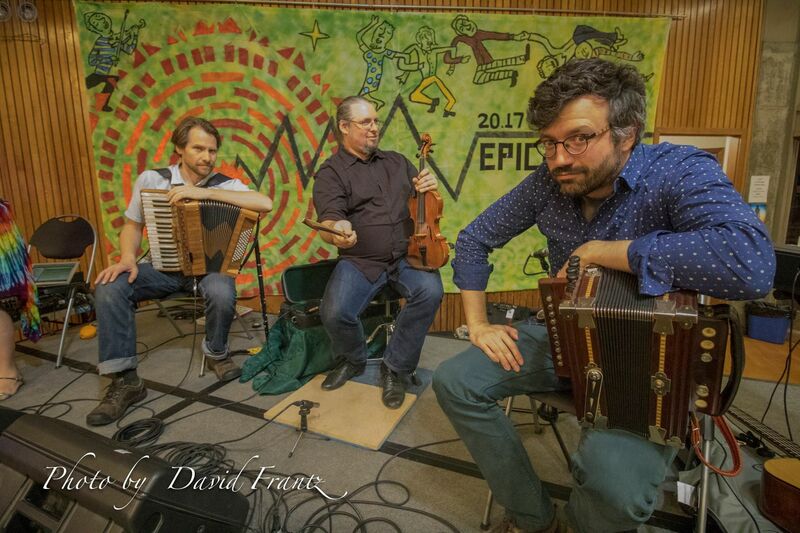 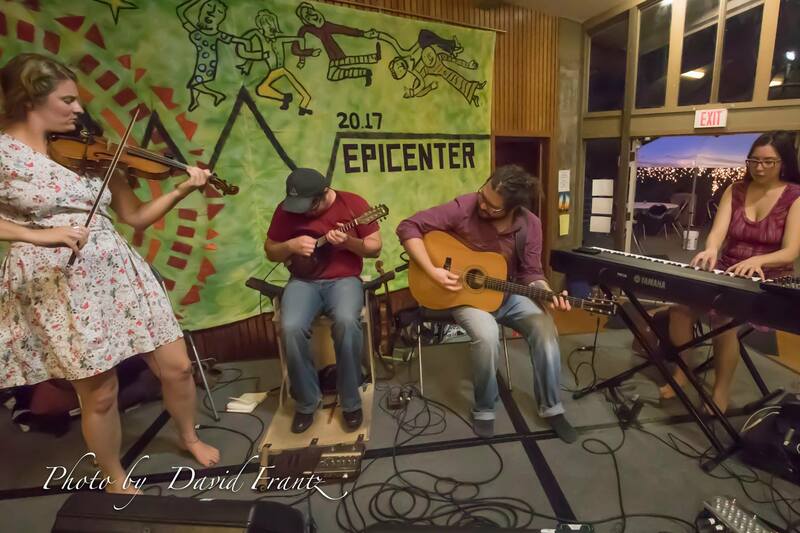 and our two fantastic bands Wake Up Robin and Genticorum, we had an energetic, fun, loving, joyful dance weekend at Epicenter 2017! 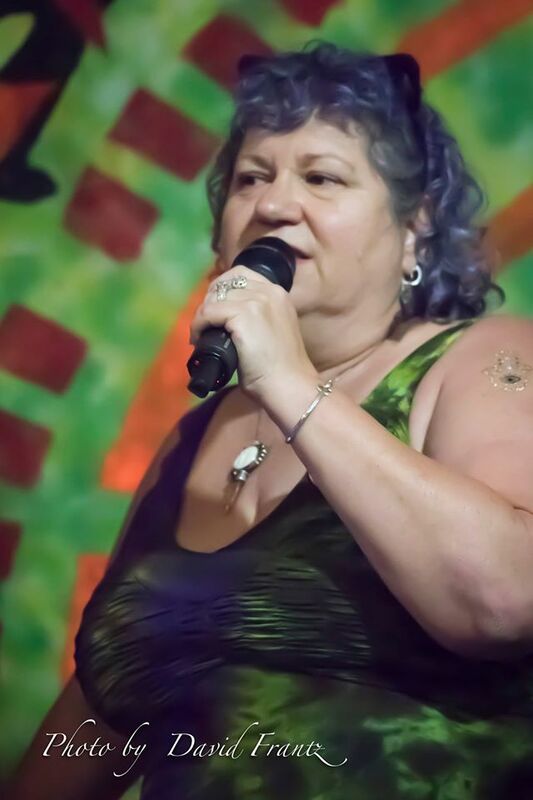 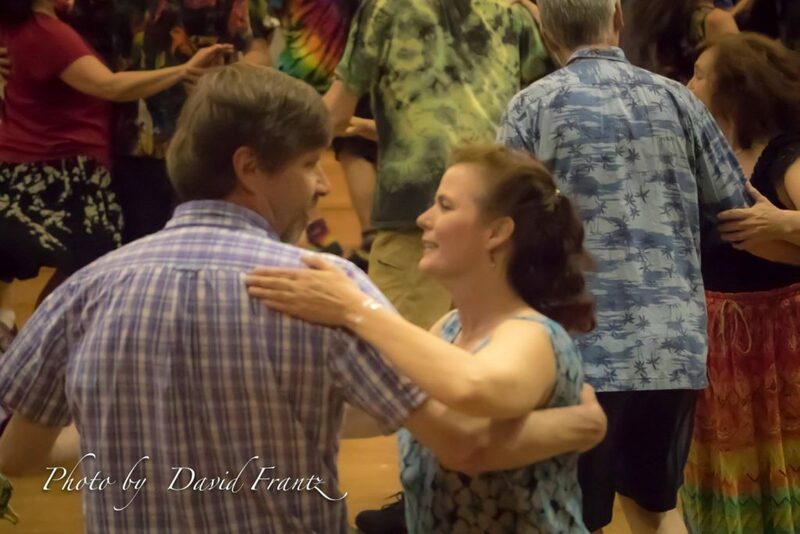 Thanks to David Franz for these wonderful photos! 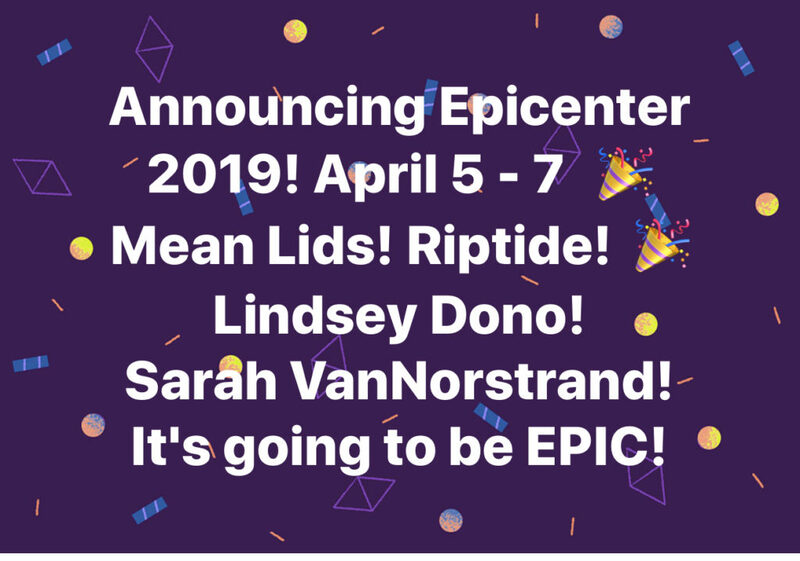 There are more on our Epicenter Facebook Page. 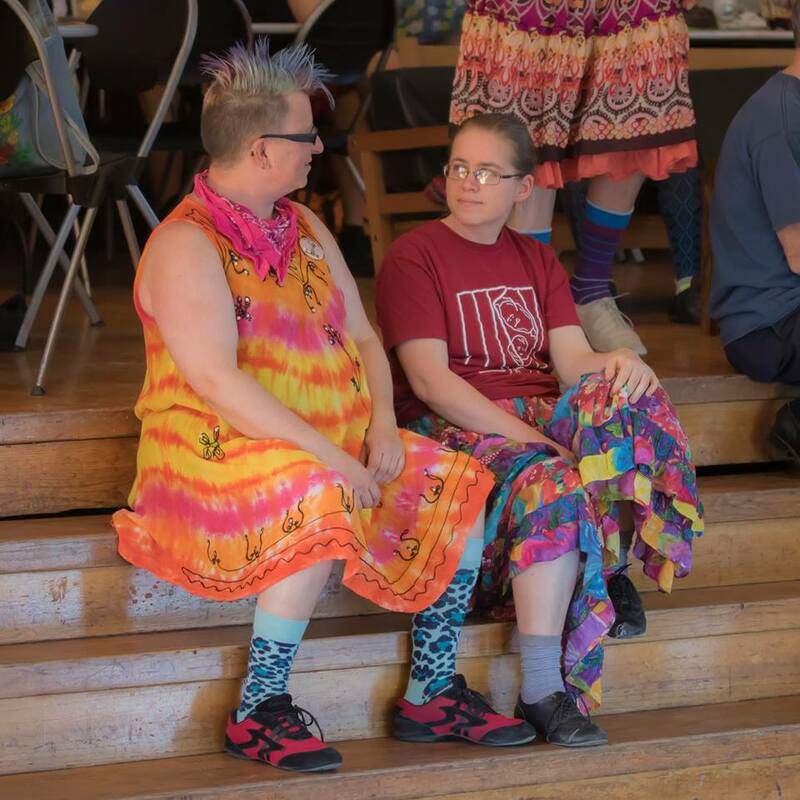 This entry was posted in Announcements, News. 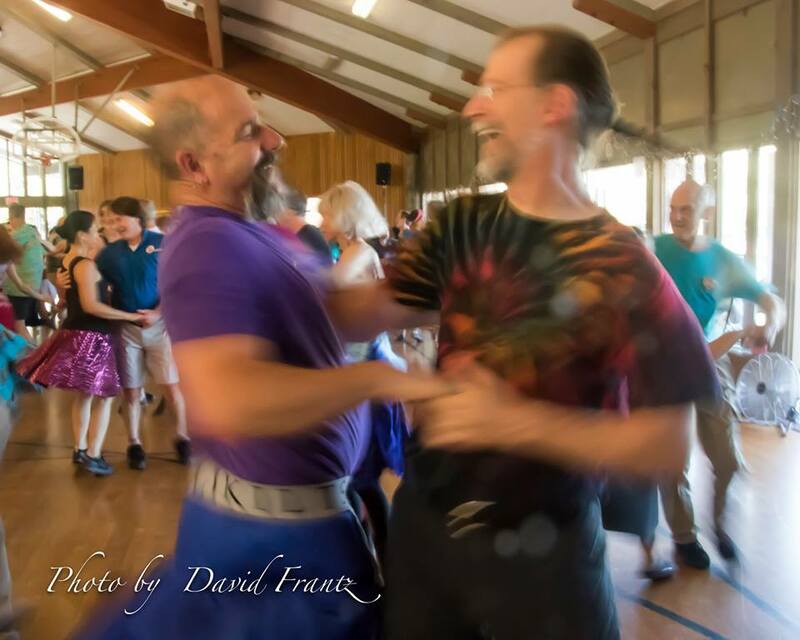 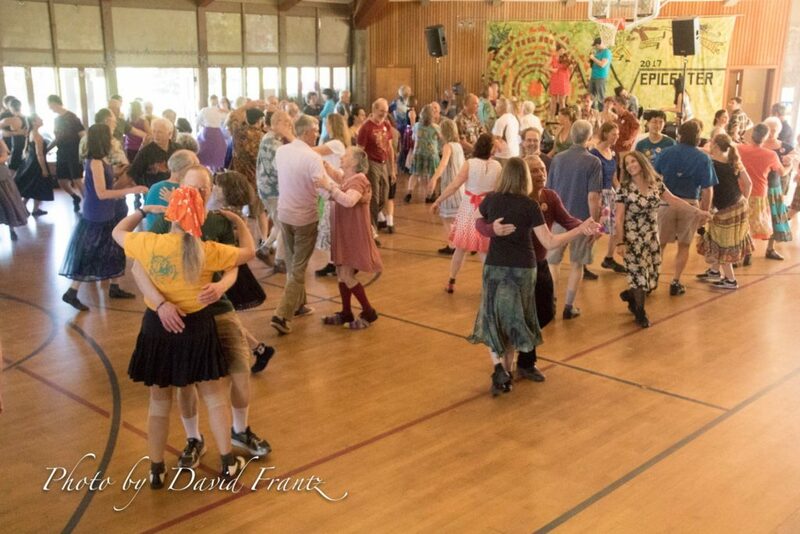 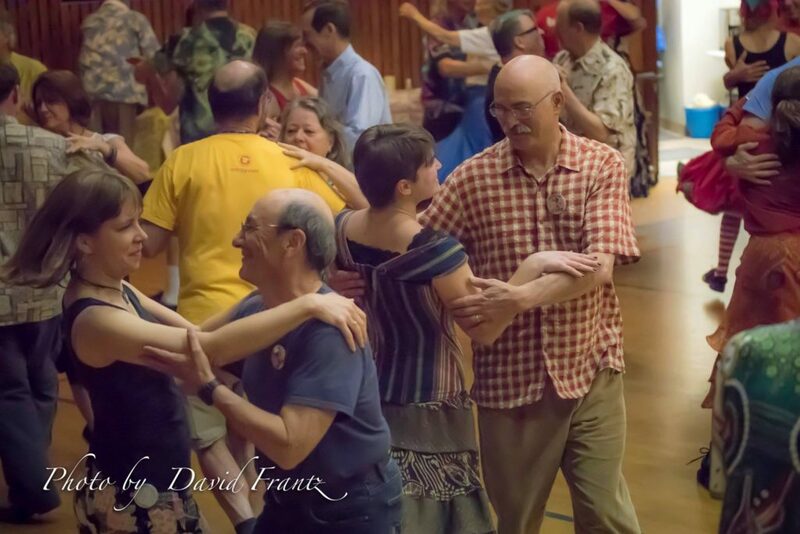 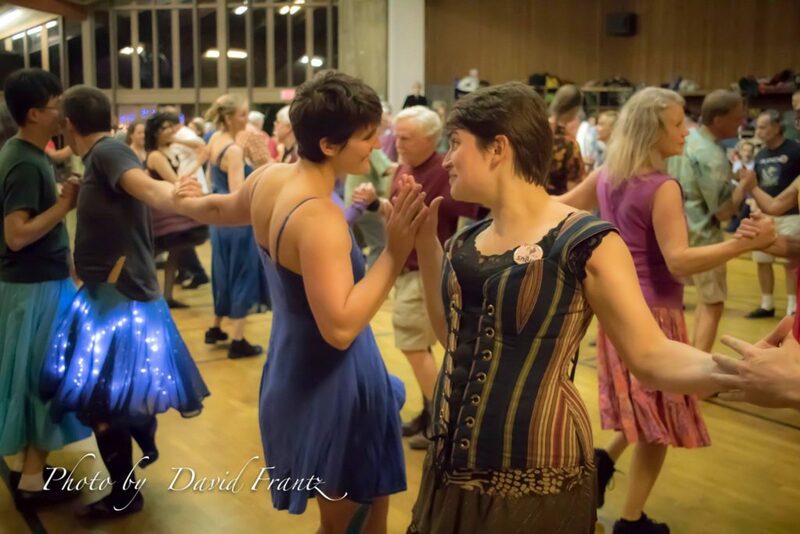 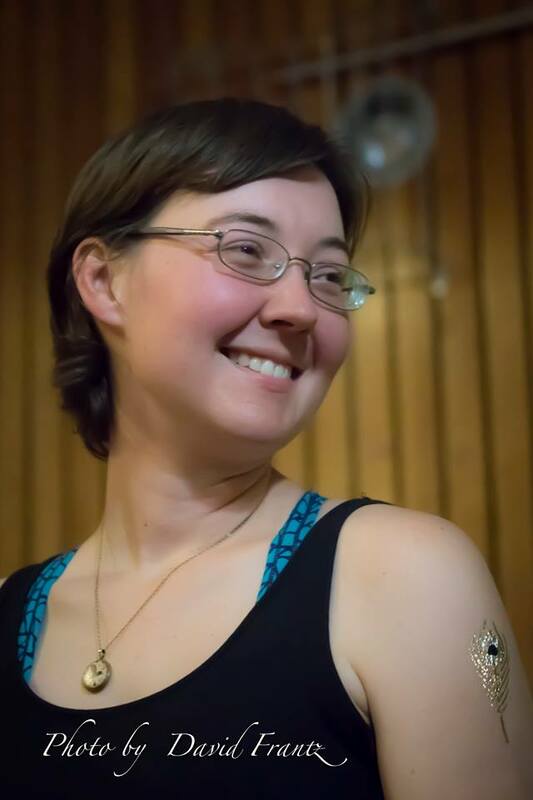 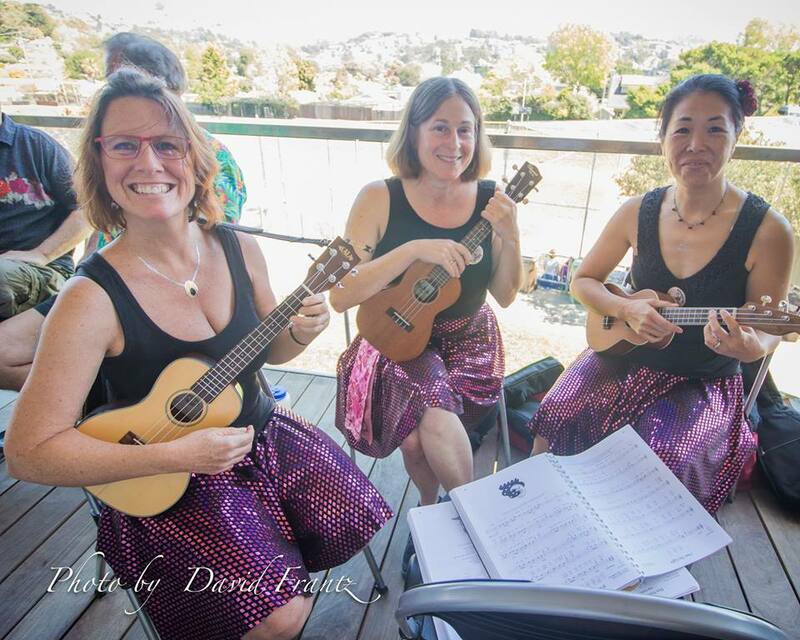 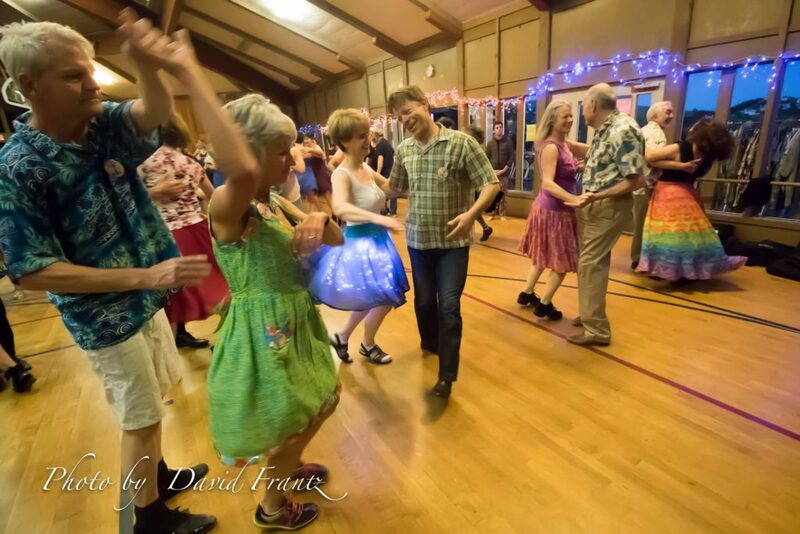 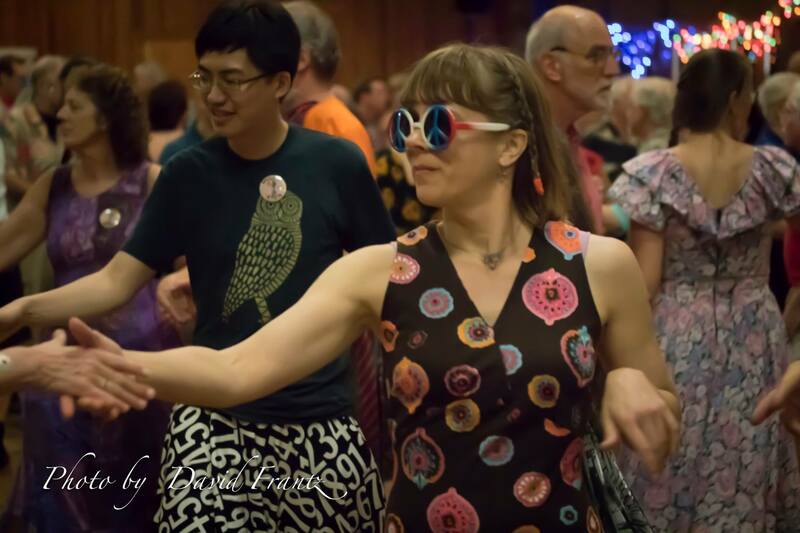 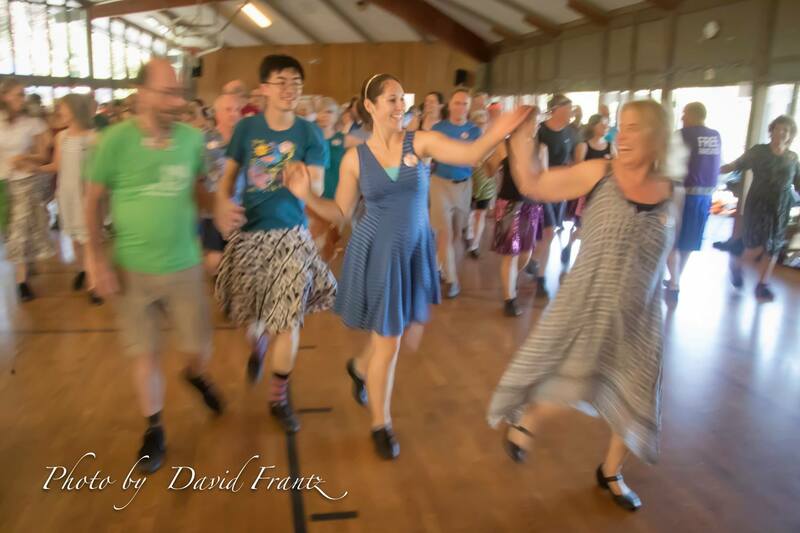 Contra and English Country Dance (ECD) are fun, easy to learn, and accompanied by live music. 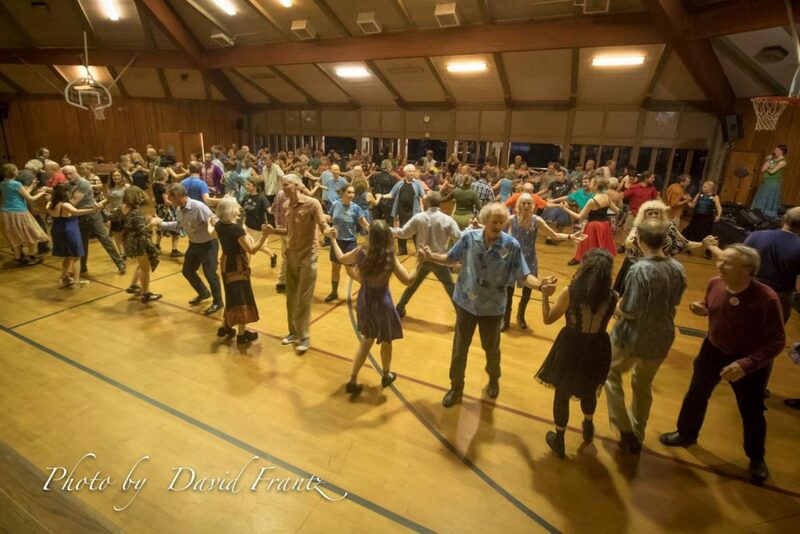 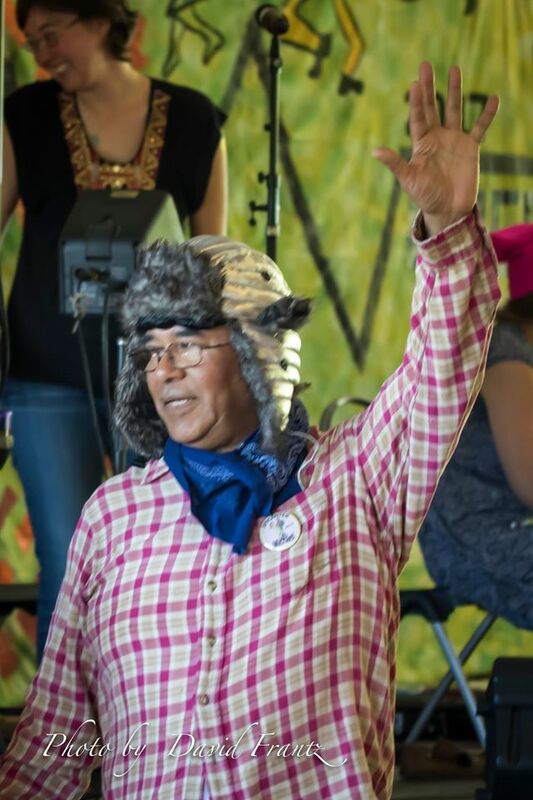 Before each dance, the caller teaches the dance and continues to prompt dancers as needed once the band starts. 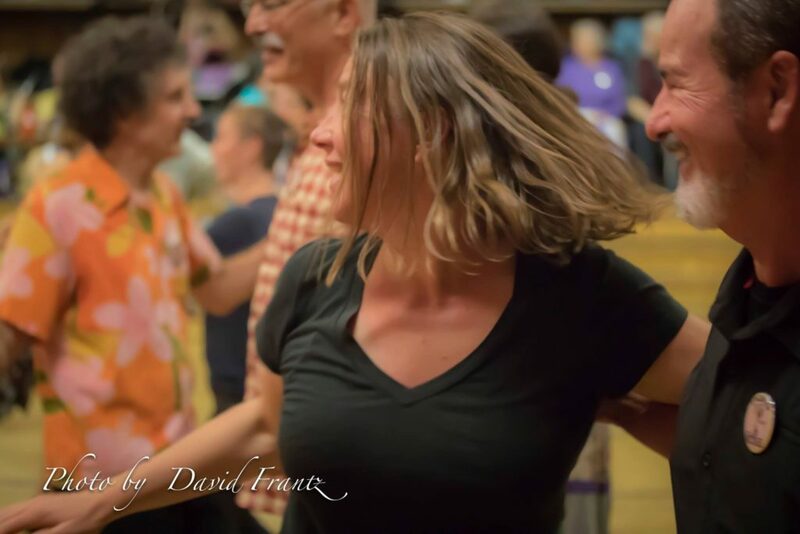 Because the pattern of moves is repeated often, you learn quickly. 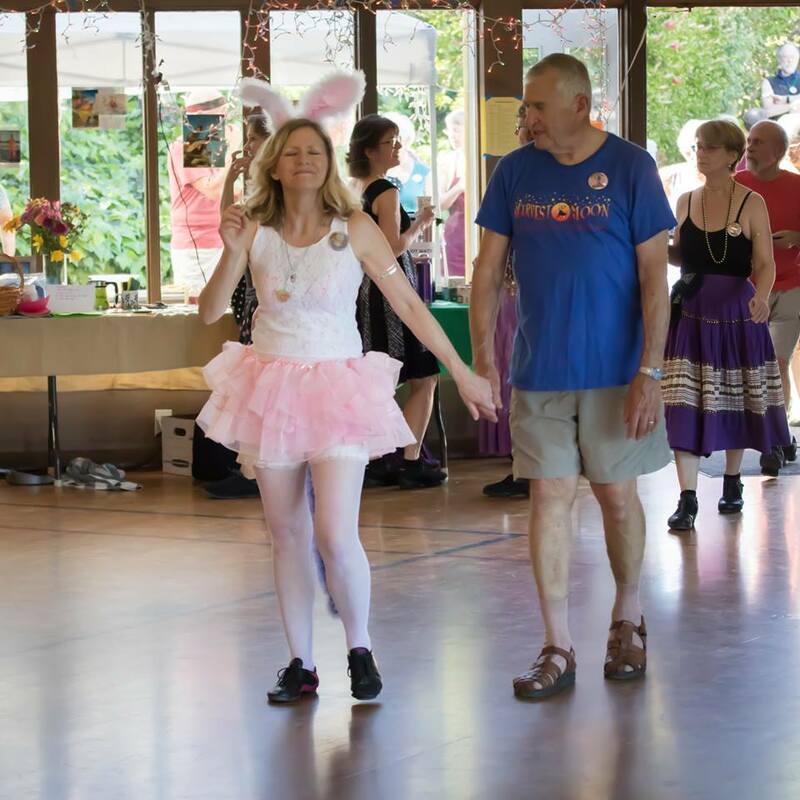 Very little footwork is required — just a smooth walking step.